Natus Vincere showed Ninjas in Pyjamas how their game can be when all shooters show up for the game. Easy match for NaVi as they cruise past NIP 16:6 on Train. 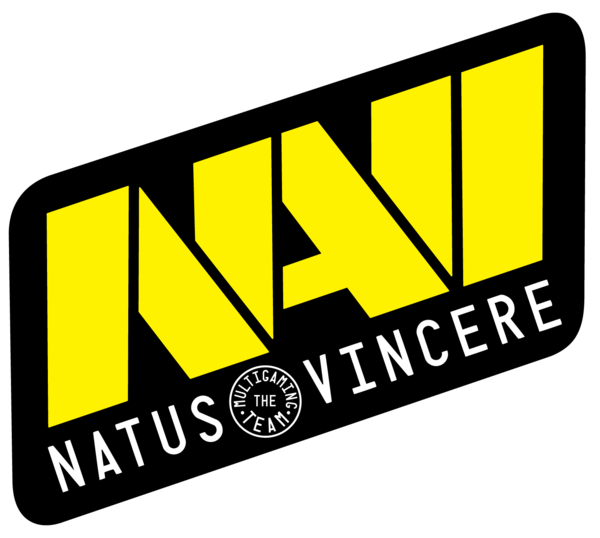 NaVi started strong as they’ve won 6 out of 8 CT rounds to show up who will be in charge of the match. NiP tried to mount a comeback but all they’ve got is 4 more rounds and decent ending to a half 9:6 in favor of NaVi. 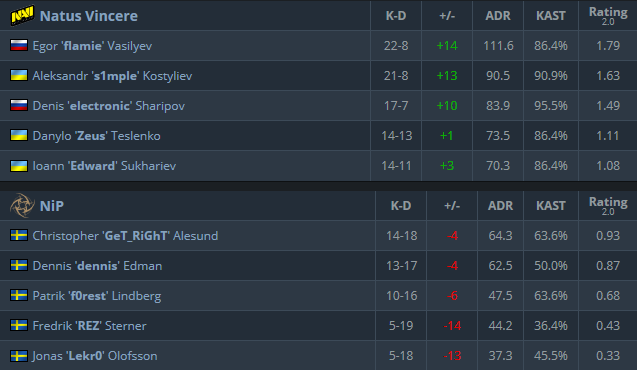 Egor “flamie” Vasilyev and Aleksandr “s1mple” Kostyliev were carried their team when they needed the most. There was only one team present in second half – NaVi – as they’ve easily got 7 consecutive rounds to close out the game. Nobody in NiP managed to stop NaVi attacks as Denis “electronic” Sharipov joined previously mentioned duo in kills. NaVi is now at 2:1 score and their next match can guarantee them LEGENDS status while NIP is 1:2 and next match will be one for staying in competition.